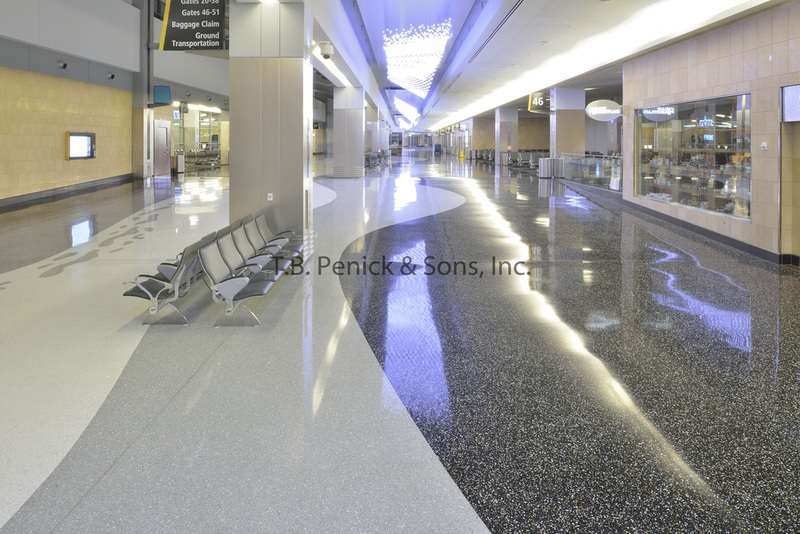 The improved San Diego International Airport features 215,000 square feet of terrazzo. 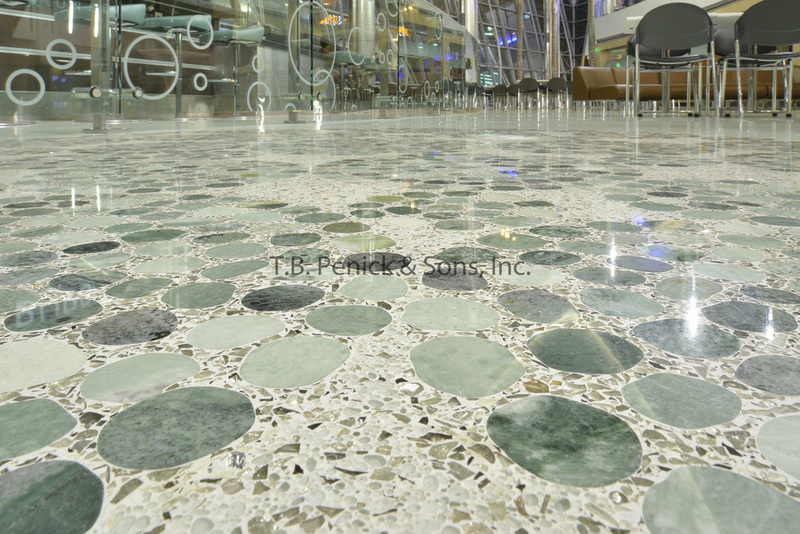 The lead architect on this project was Gordon Phillips and his reasoning’s behind choosing terrazzo was because of its durability, the ability to produce a multitude of design ideas and the seamlessness throughout the project. 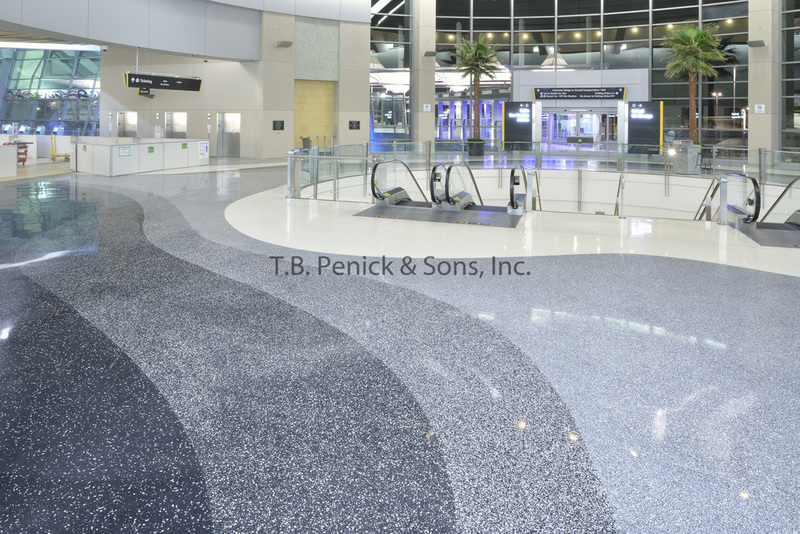 Stating that the existing terminal ceramic tile floor was bumpy and noisy and the smoothness of the terrazzo mitigates this problem. 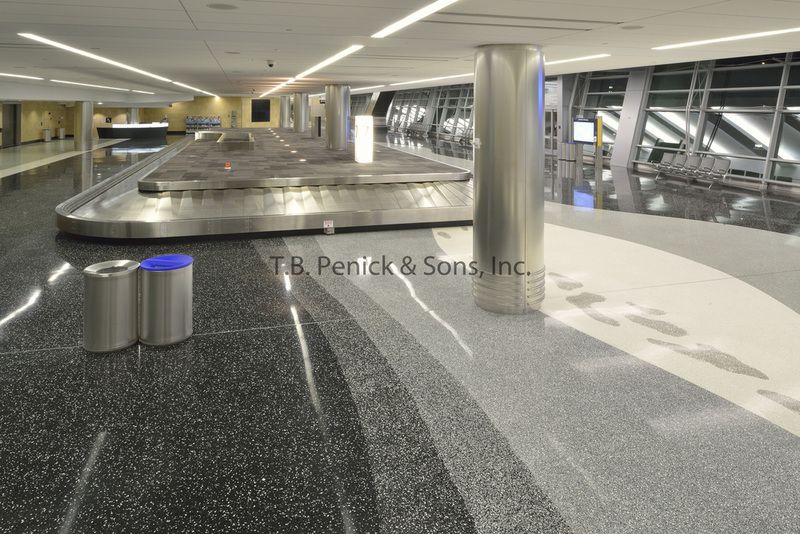 The idea behind the design for the concourses was meant to reflect the movement of the surf on black sand showing in order across the width of the concourses – black sand, wet sand, foam, foam on water and water in sequence. 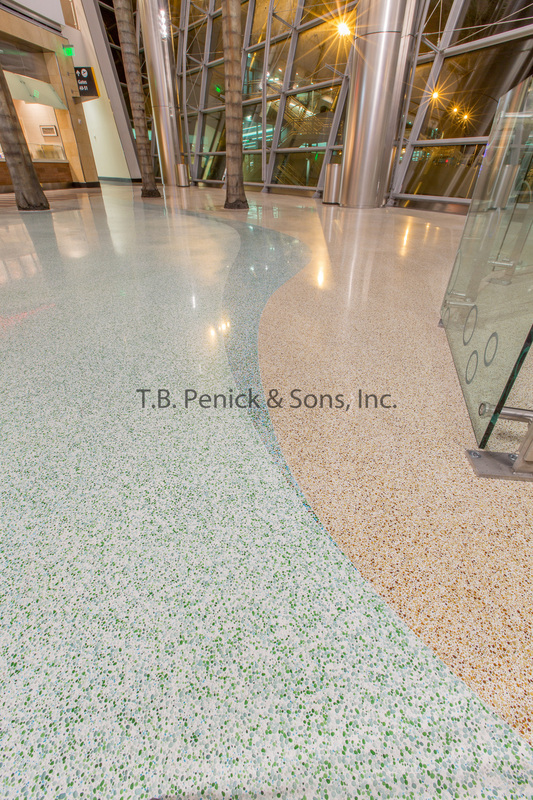 (This can be seen in the print outs stapled in back) The inspiration for the terrazzo pattern form in the areas of the terminals known as Sunset Cove, and Rotundas were mimicked after the tide pools at Point Loma a local beach in San Diego, and boardwalks around tide pools. 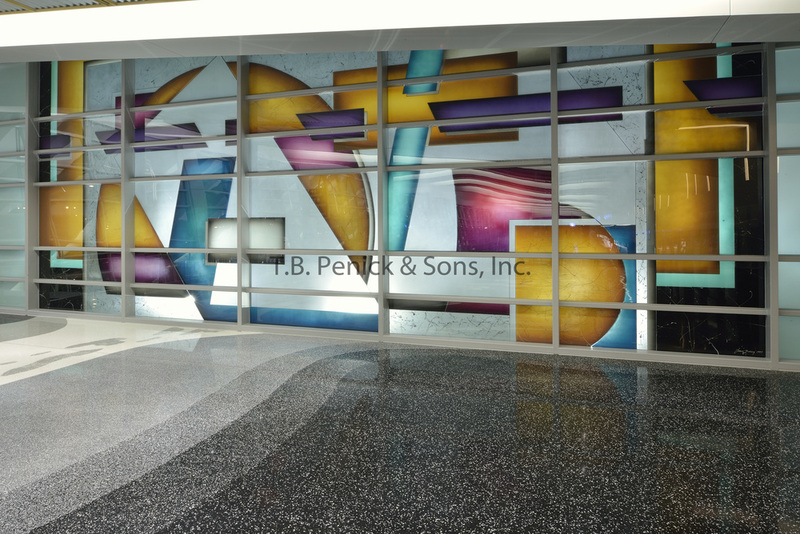 Gordon stated that HNTB felt that the installation was not only beautiful but also very successful in conveying their inspiration.